Takeo Spikes is always making moves. He is consistently one step ahead of the game and most importantly, he has a big picture goal in his mind. Haute Living got the chance to spend some time with the former NFL All-Pro Linebacker Takeo Spikes and get to know the man he is, and how he got to where he is now as an author, a businessman and a photographer. Takeo Spikes spent 15 years in the NFL making a mark in the league and leaving a legacy as one of the best linebackers in history. But unlike many other pro athletes, his football career was just the beginning. Now, four years retired from the game he is nowhere close to slowing down. In fact, he is just getting started. Takeo Spikes 2.0 is the same driven man who grew up in a small Georgia town with a dream to go pro. But now, his game is photography and more than that, it’s capturing the essence and the greatness of those in his position who played before him, with him and those who have achieved greatness in their careers. Although he released his self-published coffee table book at the beginning of the year, his official unveiling is now. 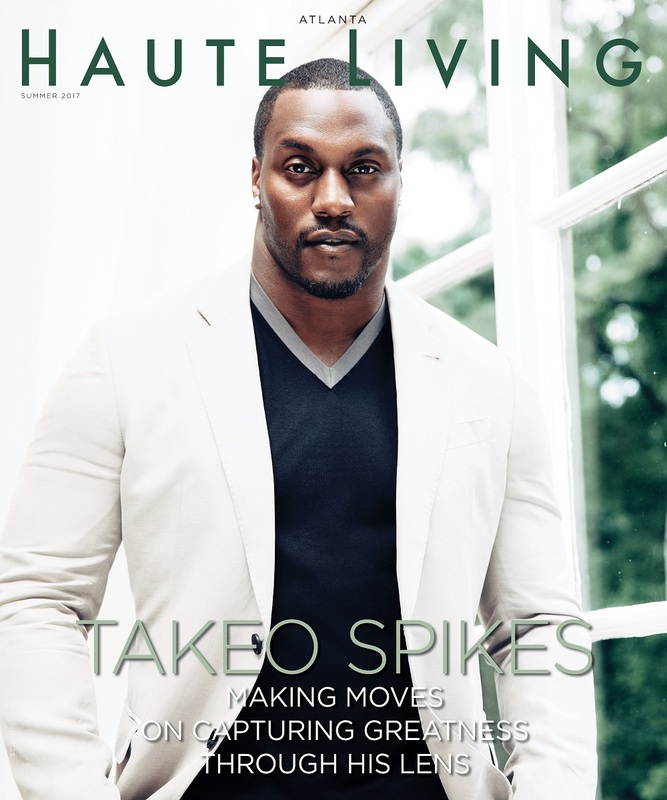 Takeo Spikes invited Haute Living along for the journey of his true unveiling of the book, his labor of love. With two private events and support from the legends in his book like London Fletcher, Willie Lanier, Bobby Bell and Mike Singletary, he finally is giving the world a look from behind his lens, behind his camera. Photography for Takeo Spikes has always been an interest. But it wasn’t until he was a few years away from retiring that he discovered his true passion and talent for the craft. So, when it was time to transition from football to the life after, he decided to get his Executive MBA at the University of Miami and during that time began his journey of cultivating the best linebackers of all time and developing a coffee table book. “I knew what I wanted it to look like. I looked at other coffee table books I looked at other photography artists and so I had an idea. I didn’t want my book to be looked upon like a trendy book or a book that was faddish for the moment. I wanted to create a timeless piece that regardless of what era, what decade this person may have grown up in, they would still be able to relate” Takeo says. He envisioned a book where some of the greats in his linebacker position told him their stories. 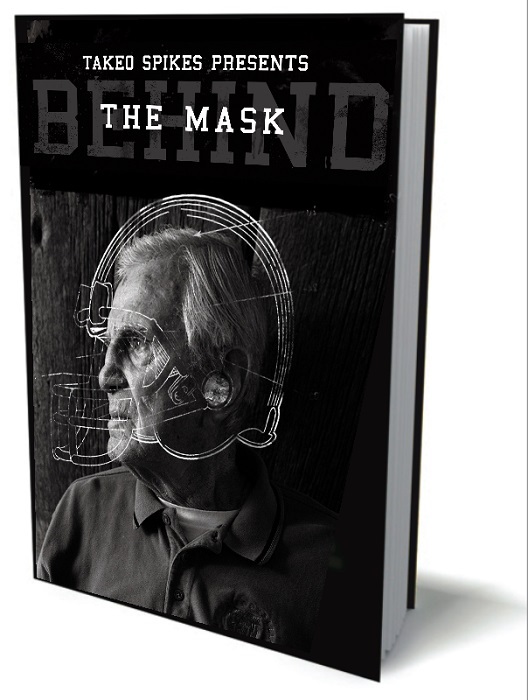 Behind the Mask pays homage to the greats in his position and captures legends like London Fletcher and Mike Singletary from behind his lens. But along with the photographs, he told their stories. He began his journey to find out what made these players achieve greatness what obstacles they had to overcome. And the result is a coffee table book that appeals not just to football fans but to anyone who wants to find success in life anyone who wants to be great and anyone who has obstacles in life. Behind the Mask is truly a work of art. And a great book of great stories. But getting the interviews and the face time, getting the blessing to photograph some of these Hall of Famers was not always a simple task. “Every time I went to a different player’s home I didn’t know what to expect. It was like some people were warm, some were skeptical but at the end of the day the job was done because everybody worked together,” Takeo says. But he still he had to push hard to convince some of these people, who lead very private lives to trust in what his vision was and to open up to him. When talking to the guys his strong resume in NFL and his clean reputation while he was playing helped assuage any doubts. 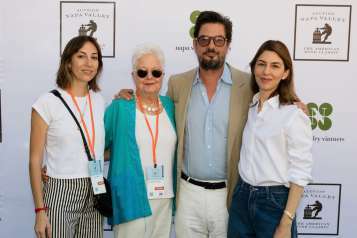 The whole project, though, ties into his decision to go back to school and get his Executive MBA at the University of Miami. Here, Spikes answers questions on how his MBA was vital to the book, what makes him passionate about photography, how he finds motivation and what we can expect next. Here he takes Haute Living behind his lens and shares his journey on writing Behind the Mask, his passion for photography and where his education has been essential. He explains what Behind the Mask Movement is and where he plans to take it. Haute Living: How did getting your MBA play a role in this book? Takeo Spikes: Its came into play with the book project because as much as this is a labor of love, it’s still a business. I got to be able to make ends meat to keep everybody happy including myself. So, from checking your balance sheet. Understanding that being organized is a number one priority especially with photographers because sometimes people call in and say I want a shot that you didn’t get. You got to be able to go back in and pull those photos and get them in a timely manner. So that’s really been the big thing, just understanding the organization and how the business is run. So your education was vital to this book? It is. Because it tied together what I learned in school. I had an opportunity to put the stuff down in front of me what I needed to create Behind the Mask. I was going through it at the same time I was getting my Executive MBA. So for me I had something I could attach. Tangibly I could grab this and say boom. This is what I can apply it to. Tell us about your career as a photographer and how it has evolved. I have gone and sat in on numerous photo shoots. I had a great support system. The only way you are going to get better is you have to practice. Even if you are just walking outside, I travel a lot so every time I travel I am always taking my camera so I can have the opportunity to shoot something that I may not see. What are some examples of some things you photograph? Architectural structures of buildings, nature, people in their candid life, and capturing special moments. I really like the idea of an image that represents a person rather than a standard traditional portrait. Anything that we usually never take time to slow down and take a second glance at. What do you do with those photographs? Most are for my portfolio, but I have had a few listed for sale, and on occasion, I may have one printed and mounted in my home. What makes you a great photographer? How do you know when you have the shot? I know when I have the shot, the money shot that I call it. It’s almost similar to your first crush, your first date, someone you are crushing on, you feel all warm and fuzzy inside. You know, you just know. Are there elements to photography you find most important? You have to have passion to what you do in order to seek and find more things that you that you want to discover or uncover. For me lighting. Lighting is never ending. You can take five photographers and have the same shot, but they can do their lighting five different ways. So it’s not just one way to do a certain look but understanding how to manipulate it. What keeps Takeo Spikes motivated each day? I realized at a young age that it requires no effort at all to wake up and be average. That’s when I knew it was vitally important for me to be mentally stimulated by adding challenging goals that would push me out of my comfort zone to make me excel. Everyday I wake up, I chase greatness. I look forward to a challenge. What keeps you working so hard? A big part of why I work so hard is my daughter. People only remember 60% of what you say, but remember 100% of what you do. The love that I have for her literally pushes me to be the best example I can for her, so when the question of “Why my dad does what he does?” arises, she can always refer back to my actions and know that I do what I do because I love her and continually inspire her. What is Behind the Mask Movement? The Movement, it’s really about sharing deep intimate stories all to inspire and motivate other people on how to become great. In life you can pretty much say you can be in the 90% range to be successful. Even if you don’t become a Hall of Famer. And that is how my book kind of relates to anyone who is traveling on a journey and trying to create something great want to separate themselves. You have to go through the valley in order to get to the mountains. What’s next in the movement? We are taking this show on the road. Ideally, we talk about the Behind the Mask Movement is going to every city to where the guys respectively play and have a great career and taking it on the road. Not just to let people know about the stories but to share those stories with people who are in those cities where people were raised watching these guys play. Can we expect more books? Absolutely! The 1st Edition of BTM was dedicated to the position most relevant to me, linebackers. Can you give us a hint to what is in your head for the next project? I don’t know what the next position featured will be, but here’s a hint, it all comes down to what my fans want to see. Do you see yourself having another light bulb moment, a moment of greatness that is not related to football? Yeah, probably, when I win a sports Emmy. Yeah, that would be the pinnacle. This is big. You’re official unveiling. Tell us what this means to you. It’s big for me because a lot of people set out to do things. Three years ago, I had a goal. And that goal three years ago was to be able to produce a book that I’m sharing my story but to also share other guys stories about what made them that outlier. This is my moment, my labor of the love that came to light and everybody gets a chance to see.